A good friend of mine, Todd Wood started a food blog called It Happens At The Bean. I have to say it is one of the best I have seen, in the food and recipe category. He is such a talented self taught cook and posts a lot of his own family recipes that have been passed down by generations. 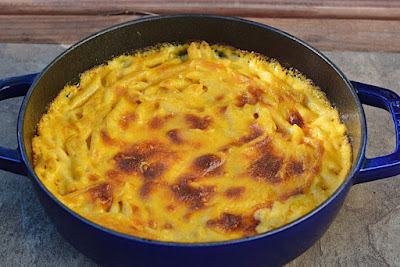 This week he posted a crowd pleasing mac and cheese and I thought I would share it with you in case you need something else to round out your Turkey Day menu. You are going to LOVE this....I cannot wait to make it myself!!!! THIS casserole pan is perfect for cooking mac and cheese!! !